Berlin and I had an intense love affair. For the week that I spent exploring the city, I was in a vegan coma. Before landing in Berlin, I had wrongly thought of Bali as the vegan mecca. While the island definitely has some incredible options for plant-based diets, the city of Berlin is on another level. 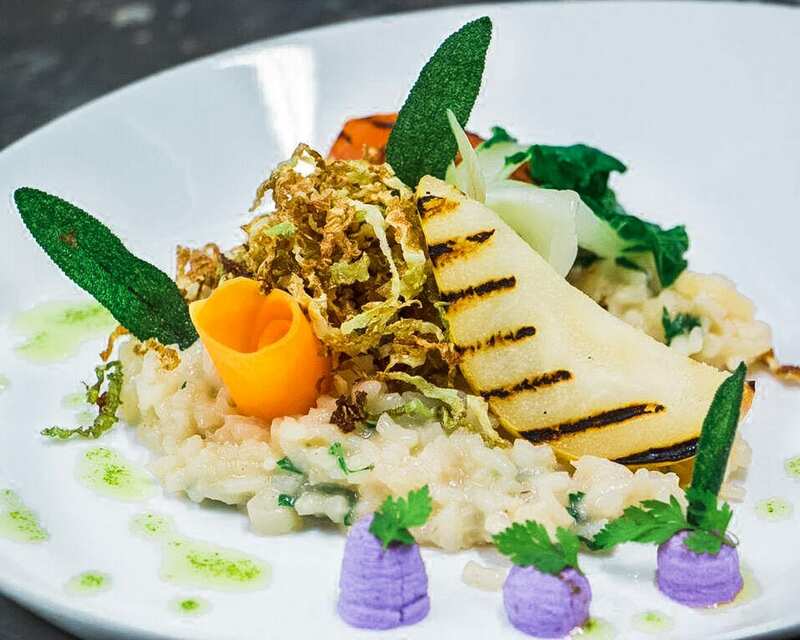 There are Michelin-rated vegan restaurants headed up by award-winning chefs. Almost every establishment that I wandered into had delicious vegan options, and the number of 100% vegan restaurants in the city blew my socks right off. While I didn’t get a chance to eat my way through everything on my list, it’s only motivation to go back. Here’s where to find the best vegan food in Berlin! 1990 Vegan Living is a vegan institution in Berlin. 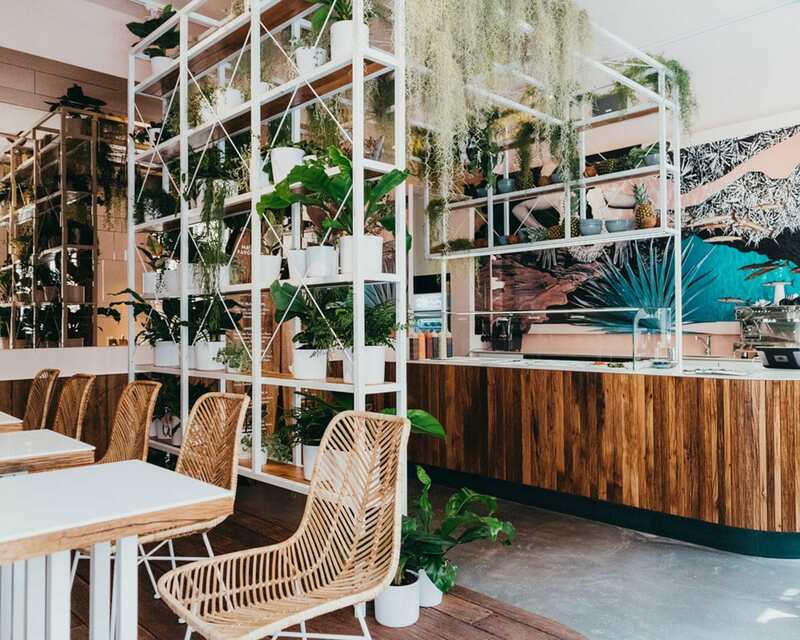 The restaurant opened it’s doors one year after the Wall came tumbling down and its been serving up excellent Vietnamese vegan fusion cuisine ever since. The decor and ambience are designed to make you feel like you’re having a meal inside a Vietnamese family’s house. After falling head over heels for Vietnam a few months earlier, I met up with a friend in Berlin, and we had an amazing dinner at 1990. I made up for the lack of Vietnamese iced coffee in my life by ordering three in quick succession. The sugar rush was intense but worth it! The best part about 1990 is that the food is served in a tapas style. You can easily order seven to eight small dishes and try a little bit of everything on the menu. I highly recommend ordering the green curry, the bun bao taco, dim sum and bowl of happiness! Another Vietnamese restaurant in Berlin that has excellent vegan options is Miss Saigon! 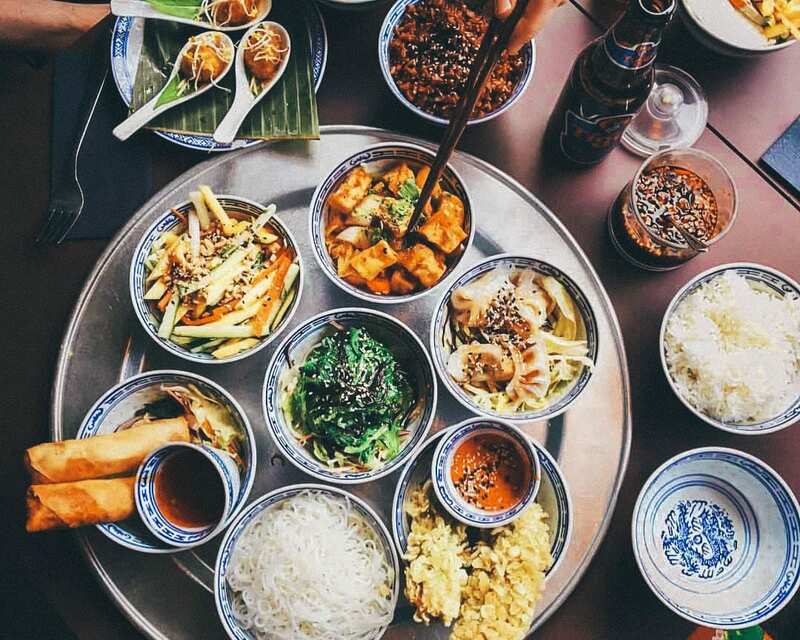 If you’re visiting the city in summer, it has a lovely outdoor patio that is perfect for people watching and chowing down on authentic Vietnamese cuisine. 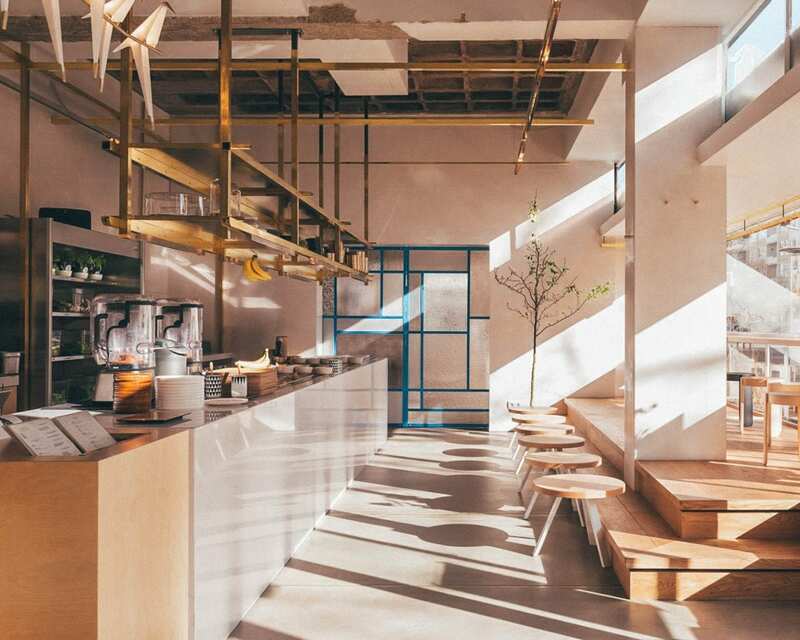 Ataya is a beautiful vegan restaurant in Berlin, born from a fusion of two cultures: Italian and African. The one owner is a musician from Senegal and the second is a chef from Sardinia with over fifteen years of experience in the kitchen. 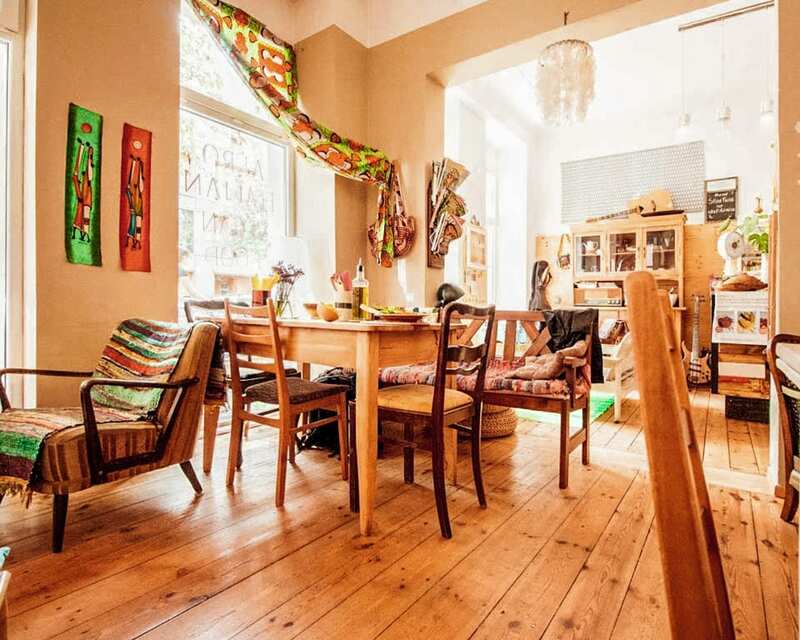 The result is a cosy living room atmosphere where you can find African blankets and homemade vegan variations of pasta, exotic panini, authentic Italian coffee and delicious fruit bowls and smoothies. 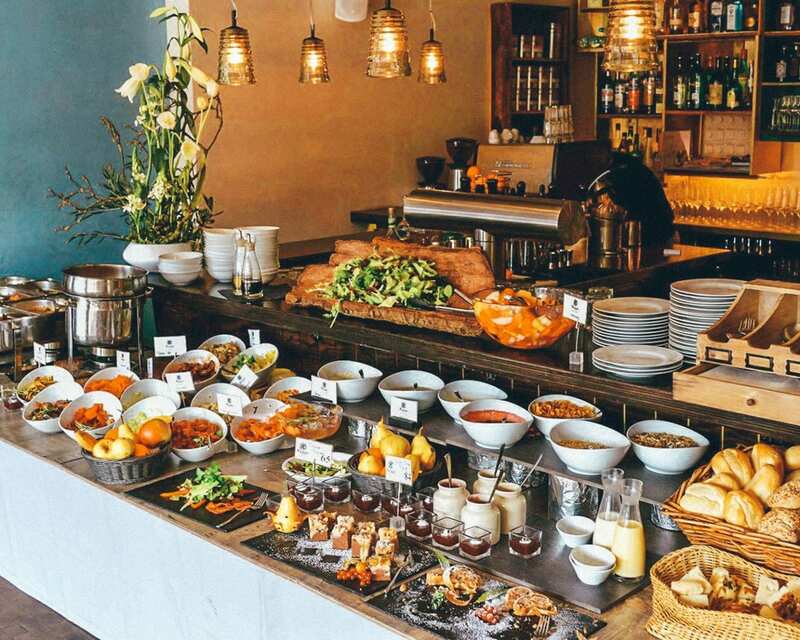 On Sundays, you can attend their “Afro-Italian brunch”, and during the week, they change it up with three to four daily traditional dishes from Italy and Africa. 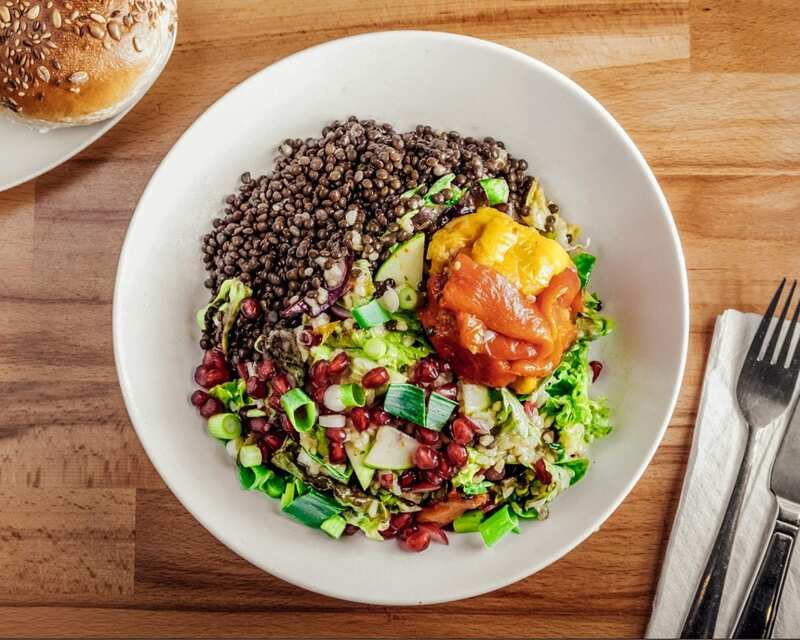 Kopps is where you’ll find the best vegan brunch in Berlin. Stop by on Saturdays from 9:30 to 16:00 and Sundays from 9:00 to 17:00 for a vegan buffet with tons of options. 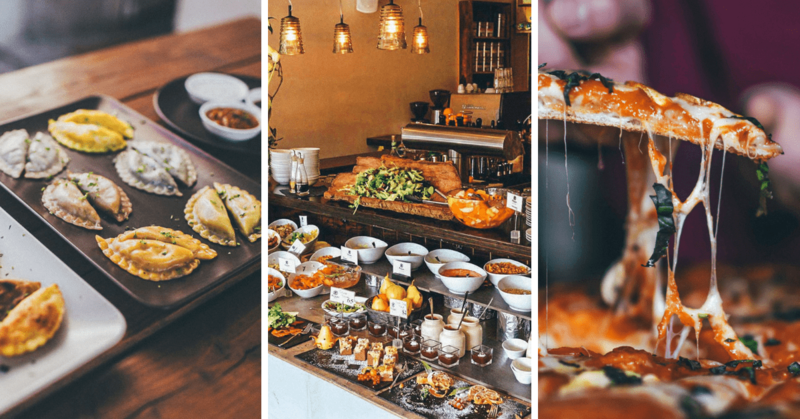 You can munch on warm or cold plates, sweet or savoury and learn how to whip up everything on the menu by attending one of Kopp’s cooking courses. If you’re more of a dinner person, you can make a reservation to try their seasonally changing five-course menu that has an option to include a wine pairing. 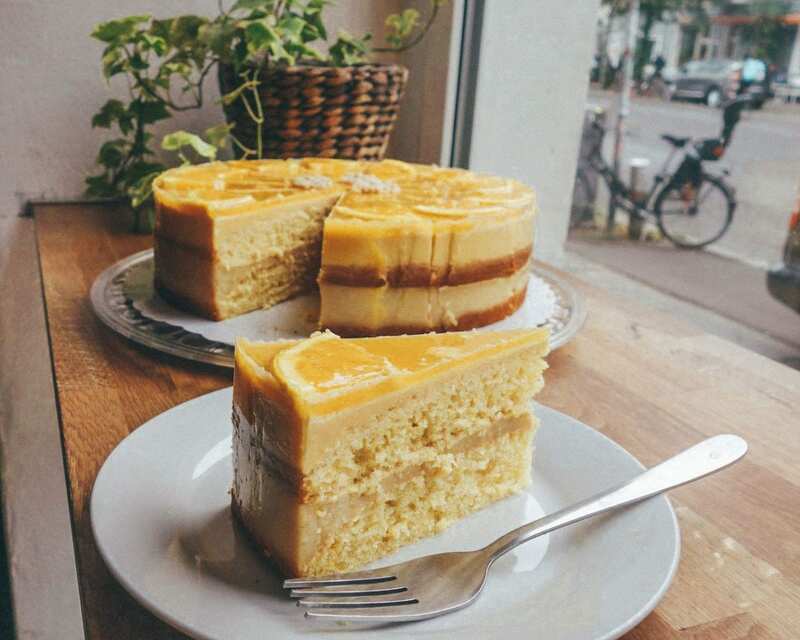 If you’re after quick, delicious vegan food in Berlin while you explore the city – pull into Lia’s Kitchen. The restaurant offers some of the best vegan fast food at reasonable prices and with portions that will keep you satiated. It took me a while to decide which one to try, but I settled on the chilli bean burger, and it didn’t disappoint. The restaurant also has a range of delicious salads. I ordered the quinoa, berries and nuts one to go. Lucky Leek is a Michlin-rated vegan restaurant in Berlin. Headed up by award-winning chef Josita Haranto it’s the ultimate fine dining vegan foodie experience in the city! Choose from one of their three to five-course dinners. While it’s expensive (you can expect to by EUR 59 for five meals), it’s worth it if you’re into unique culinary experiences. I didn’t get the chance to go because I ran out of time, but Lucky Leek came highly recommended from all the vegans I bumped into around the city. If you follow me on Instagram, you’ll know that I have an intense passion for poke bowls. It all started in Berlin when I stumbled across Ma’loa in search of a quick dinner before catching the sunset at James Simon Park. I knew nothing about poke bowls when I walked into the restaurant. I caught a glimpse of avo in the window, and it was enough to lure me inside. After speaking to the lady behind the counter, I ended up crafting a poke bowl masterpiece. I chose sushi rice for my base, tofu for my protein and threw in pineapple, sugar peas, edamame, mango, avocado, cashew nuts and sweet potato. Out of all the vegan restaurants in Berlin, Momo’s is my firm favourite. I cannot resist dumplings, especially ones filled with so much delicious vegetable goodness. I ordered a massive platter of four different kinds when I stopped here for lunch. The pumpkin chickpea option won my stomach over with the broccoli, shitake mushroom and tofu following in as a close second. 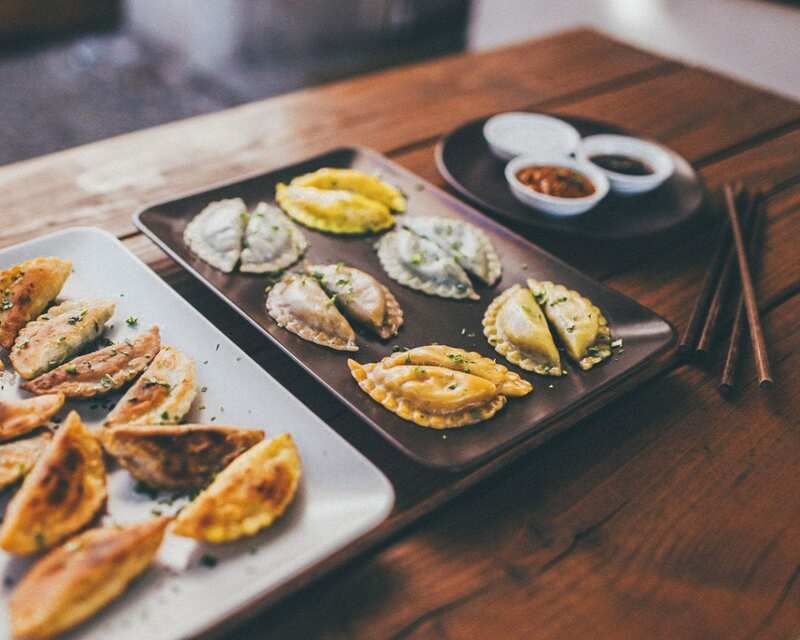 Momos also serves up a delicious selection of vegan dips for your dumplings. I ordered the soy sesame and the “mitho” dip that’s made from spicy tomato, ginger, and chilli. I washed it all down with their “Very Berry” smoothie. If you’re after something sweet, Momo’s has a few vegan desserts as well. Grab a slice of vegan pecan nut brownie or try their pan-fried banana dumplings with cinnamon and maple syrup. One of the things I struggle with the most as a vegan in South Africa is pizza. 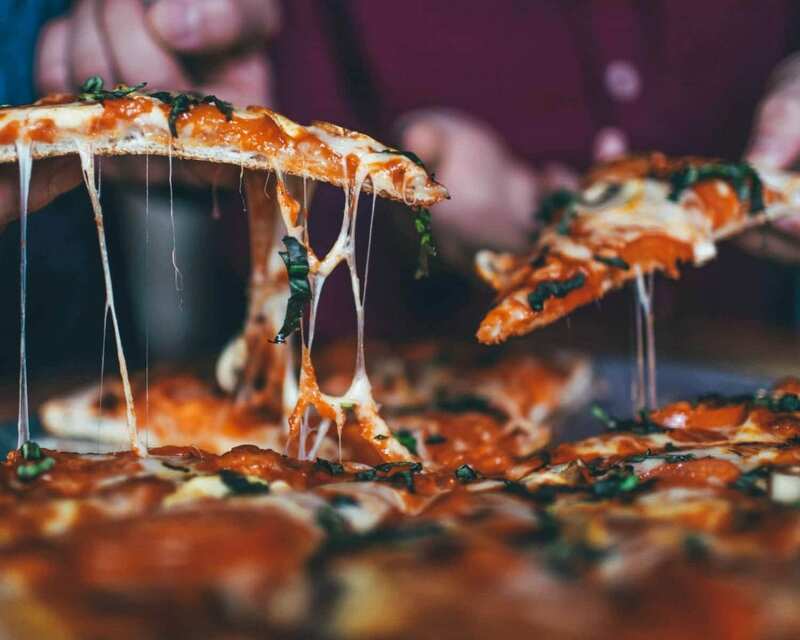 While more and more restaurants in Cape Town are offering vegan cheese substitutes, Johannesburg is trailing behind. So when I came across Sfizy-Veg – a 100% vegan pizzeria and the first of its kind in Europe – I unleashed my inner foodie to level 10 000. I started with a side of vegan mozzarella sticks dipped in soy sauce and vegan cannelloni with cashew parmesan. When it came time for the pizza, I ordered the vegan prosciutto and mushroom option and washed it all down with a glass of chardonnay. I did not finish that all in one sitting, but I had delicious vegan Italian food for breakfast and lunch the next day. I regret nothing. Much like Alice in Wonderland, I went on a great adventure trying to find Toki The White Rabbit in Charlottenburg. For some reason (even though a had a local sim card and bucket loads of data), my phone kept on having a meltdown. But, I prevailed, and my weary feet and rumbling stomach eventually found it’s way into Toki. It’s not the cheapest vegan restaurant in Berlin, but the quality of food is worth the few extra Euros. I started my morning off with one of their smoothie bowls and two soy milk cappuccinos. The decor of the restaurant and food presentation is Insta-worthy, and it’s an excellent spot to work for a few hours as well. Please Note: Toki is currently closed as they are moving to a new location in East Berlin. Voner is known for cooking up some of the best vegan kababs in Berlin. The restaurant has a classic street food vibe with casual indoor and outdoor seating and a laid back atmosphere. It’s an excellent option if you’re looking for a quick vegan meal that won’t break the bank. Besides the kababs, Voner has massive vegan burgers, currywurst, nuggets and fries. For your sweet tooth, you can order one of their huge slices of freshly-baked vegan cakes. 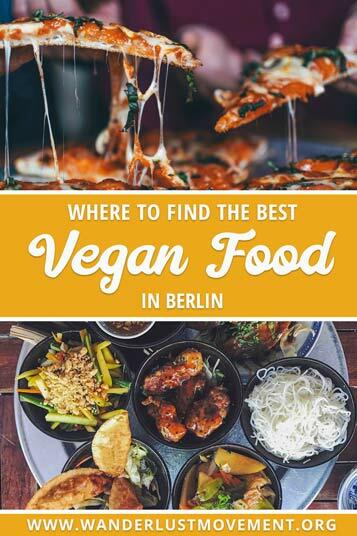 Where do you go to find the best vegan food in Berlin? Let me know in the comments below!